Portfolio: A recent update on Mehendi! A recent update on Mehendi! 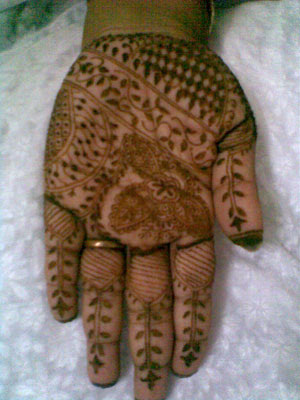 Once again, I did mehendi work. Now day-by-day, I am becoming more confident about my works. 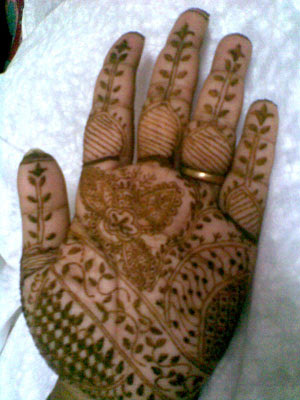 On 3rd October, 2007 I am going to do mehendi for my first client professionally. Wow! I am very excited now, you know. Last day, I did my free trial for the last time. It was good indeed. Do you like to have a look?